Just half a dozen games are in the offing this week on account of two days and nights of ODI cricket. 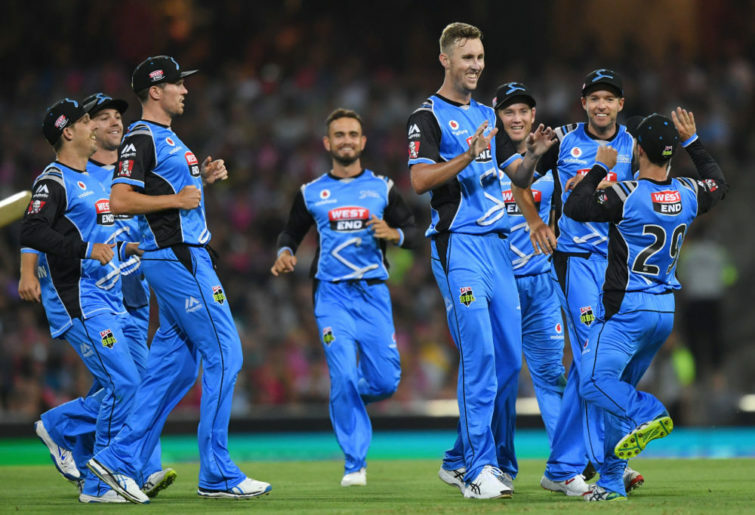 Remarkably, the Adelaide Strikers don’t play at all, their next game coming on Monday against the table-leading Hobart Hurricanes. That’s unfortunate, because these rankings need all the help they can get. There’s been more movement around the middle of the table, and despite another very large loss I can’t move the Strikers out of the top two. Perth and Brisbane looked utterly spent a week ago, but with some wins under their respective belts could rise back up. Need proof T20 is just noise punctuated with a bit of signal? The Sydney Thunder are in second place on the table with a 4-4 record, and every team below them has between three and four wins from seven or eight games. Having passed the halfway point of the competition during yesterday’s triple-header, it really is anyone’s tournament. Basically, this is a somewhat fruitless exercise, but it’s a bit of fun right? Onto the rankings. Just the one game for the Hurricanes last week, a loss (their first of the tournament) to the Melbourne Renegades. A top-order failure – the ‘Canes were 3-11 through three overs – gave way to a century partnership between Ben McDermott and George Bailey, giving the ladder-leaders something to bowl to. The game had no business stretching into the final over given the start, but it did. Hobart’s attack was found a little wanting in defence, though more often than not in this tournament that hasn’t mattered. They’re still the team to beat. And the Adelaide Strikers are still the team best positioned to beat them. Fortunately for them, Adelaide haven’t got another ODI-affected game on their slate given they misses out on the play this week. The Strikers are now 4-4 with a pretty well neutral net run rate. However, they’ve been pasted twice, including yesterday by the Sydney Thunder (the other was against the Perth Scorchers on Boxing Day). If we take those two beatdowns out of their report card, the Strikers have a NRR of around 0.615, which would be the best in the competition. If T20 is random, we can look through a couple of bad days out. 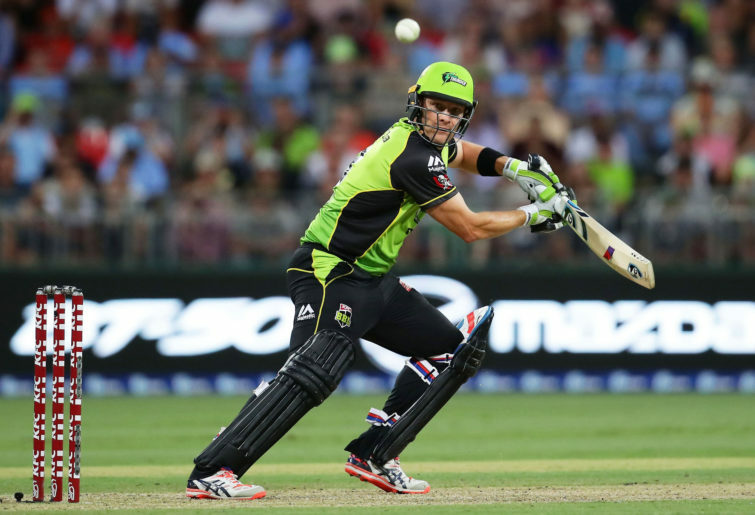 Nothing that happened this week should dissuade us from thinking the Sydney Sixers are the best of the chasing pack. That’s because they played one game, an honourable loss to the Perth Scorchers away from home (in which they scored 178 runs batting first). 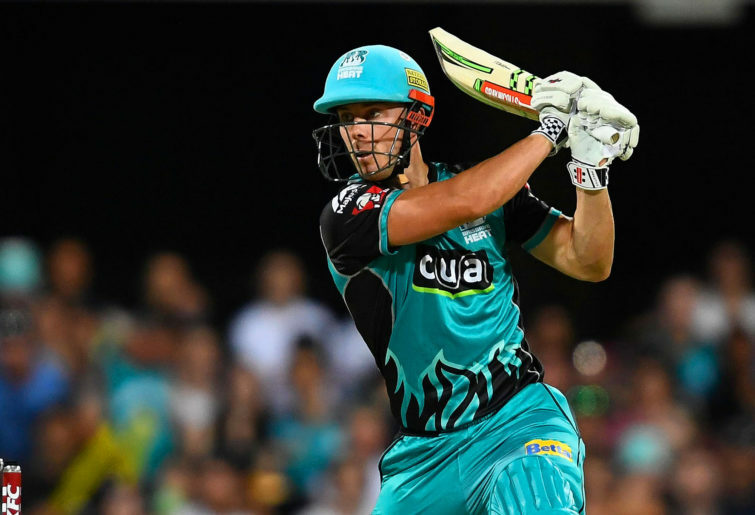 A two-game home stand, against the Melbourne Renegades and Brisbane Heat, should tell us if the Sixers of the past few weeks are for real, or whether our pre-season expectations were more on the money. The personification of T20’s randomness, if anyone can tell me whether the Sydney Thunder are actually good that would be helpful. They’re second almost by default, after a pasting of Adelaide supercharged the team’s NRR. Now without Jos Buttler (bad) and Joe Root (leaning towards good), but with Chris Jordan (good given Sydney’s attack has been weak) and some chap named Anton Devcich (? ), Sydney might be able to make good on their ladder position in the second half of the competition. Indeed, the Thunder might’ve been robbed a point by the weird decision to play during a torrential downpour last Tuesday evening. The second innings got underway with some rain about, and it quickly turned heavy, but the umpires persisted until the Thunder were three balls into their sixth over (five overs being the cut off for a result in the farcical Duckworth-Lewis system in T20). They never returned. Given the tight nature of the competition, that No Result could’ve proven crucial. 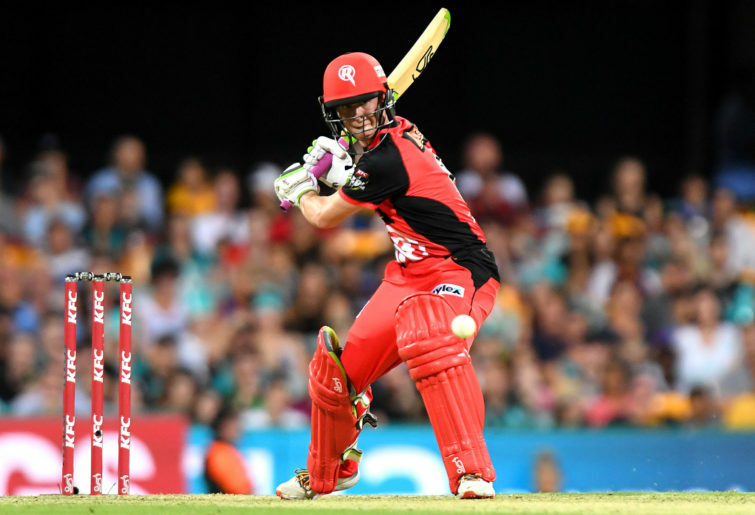 Like the Sydney Thunder, can anyone shed some light on the topic of whether the Melbourne Renegades are any good? 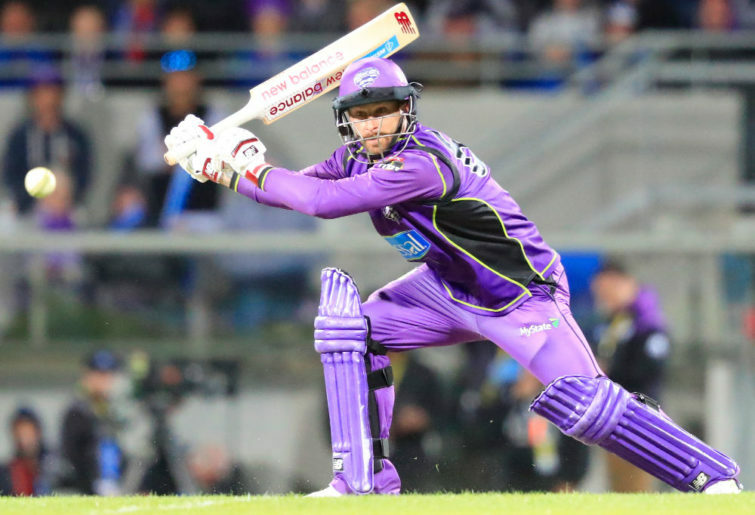 They knocked off the Hobart Hurricanes early doors – though should’ve beaten them well before the game got into the last over given the gift of a start they were given – and won comfortably against the Brisbane Heat on Friday night. But then, because it’s the BBL, the ‘Gades fell to pieces in the return leg against the Heat, and now have the worst NRR in the competition. Melbourne has shown they have the batting to go with the best teams in the competition. Like most other teams that go down that path, it can fall apart quickly. With two games to come this week, against the Sixers and Stars, the ‘Gades have a golden opportunity to put one hand on a top-four spot from their current 4-4 position. They’ll probably need to do it on wins given the hammering their Net Run Rate took yesterday. 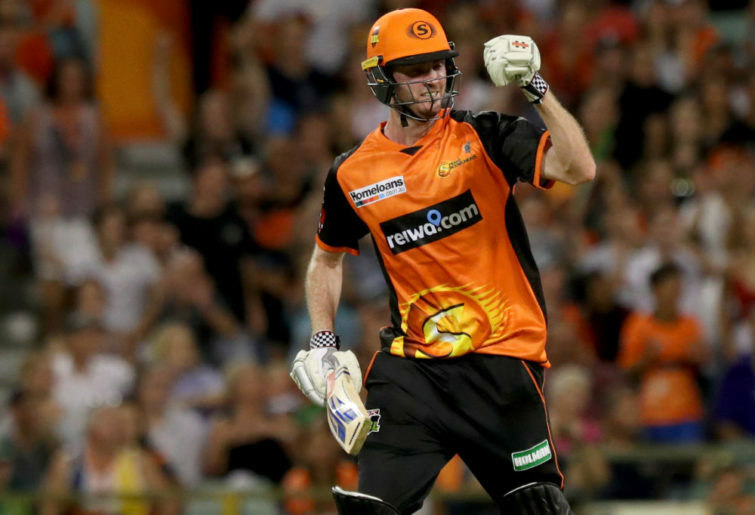 Ashton Turner and Cam Bancroft have saved the Perth Scorchers’ season, giving the three-time champions a much-needed fillip in the score-setting phase of the game. Turner would be close to Man of the Tournament so far if it weren’t for the dot-bowling powers of Rashid Khan. I probably over-reacted dropping them to seventh last week, but then again how bad was Perth’s batting going? Just one game this week, against the Hobart Hurricanes on Friday night in Perth. They’re back in it. It’s feast or famine, and the duo that sets the table made sure the Brisbane Heat were well fed this week. Chris Lynn and Brendon McCullum scored 309 runs combined in three games in the week just passed, for an average of 61.8. Brisbane won two of their three games, including an absolute pasting of the Melbourne Renegades yesterday. They live by the Bash Brothers (terrible moniker by the way, but it’s effective), and they’ll die by the Bash Brothers, one assumes. Brisbane have a golden opportunity to climb the ladder this week, with games against the Thunder and Sixers on Thursday and Sunday. Win both, and they’ll surge to a 5-4 record out of nowhere. It was too good to be true. The Stars look 20 runs off the pace with their middle order on Australian duty, and unfortunately for them, Melbourne have another two games to come this week. A neutral NRR keeps their tournament alive, even if they probably don’t have the batting to make the leap.